reduced opacity (30%) as shown in the right panel to better visualize the interior of the organ(s). 3D SSD: blending of each lung following segmentation, transparent. This is one application of nuclear imagining utilizing the C-T scan. Not really. 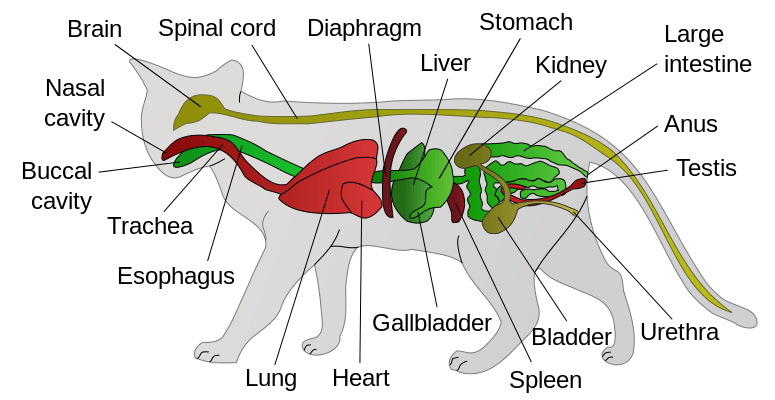 It is one person’s drawing of what is inside a cat. Not even close, folks. But thanks, Wikimedia, for the other great stuff! Weekly Photo Challenge: Inside (A Train 2) | What's (in) the picture?